This poster features Lewis W. Hines' famous photograph of young boys working in a Georgia cotton mill, in 1909. 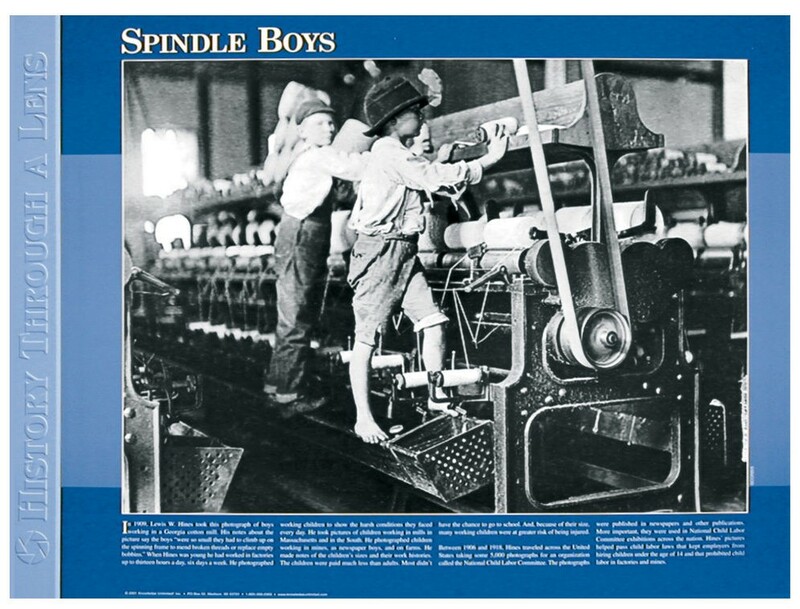 His notes about the picture say the boys "were so small they had to climb up on the spinning frame to mend broken threads or replace empty bobbins." This poster features a large image of this historic photo . It also contains explanatory text that gives background information about this period in history, and how photos like this one helped to pass child labor laws in the U.S.